The GoPro contained amazing footage of snowboarding in Austria, hiking in Peru, swimming with seals and the last photos & video captured in the waves at Surfers Paradise beach. We knew we had to do our very best to track down the owners and return their memories and property. 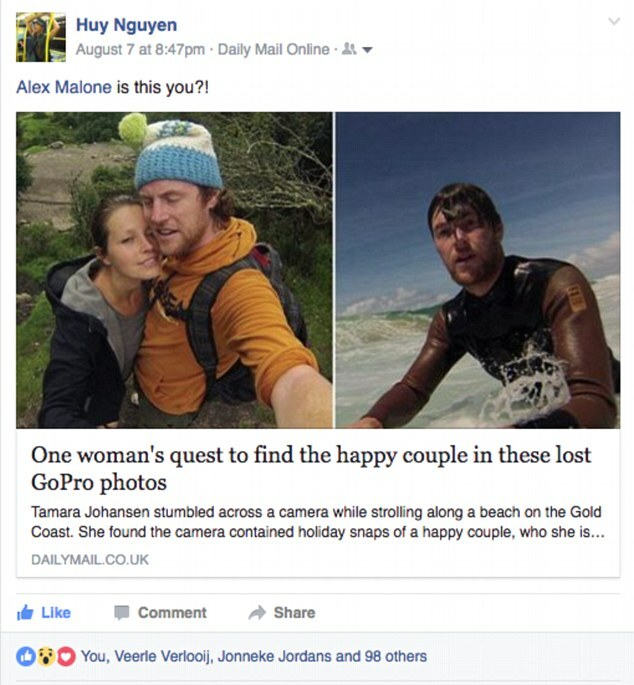 After being shared hundreds of times across the Gold Coast Bulletin, 7 News and Daily Mail’s networks, the couple was recognised by a friend who had met them during their extensive travels. We were absolutely ecstatic when Alex got in touch with us via email. After being wiped out in the waves at Surfers Paradise beach, Alex lost hold of the GoPro pole and helplessly watched as it disappeared into the surf. 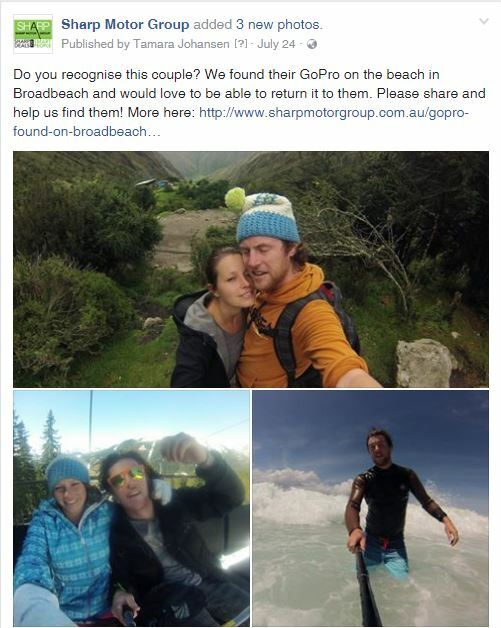 Alex told us of her $800 day, the day she lost the GoPro where Alex and her partner Thijs received two parking tickets while searching tirelessly for their camera in the surf. They had resigned to the fact that their camera was lost forever. That was until they saw their lost photos in a Daily Mail article and their “faith in humanity was restored”. Originally from the Netherlands, Alex is now based in Melbourne and we began plotting how we could meet and hand back her GoPro. That’s when things really got interesting… Our friends at Holden offered to lend the couple a car for a great Aussie Road Trip, from VIC all the way to us on the NSW/QLD border. Plus, Leezair is giving them some amazing experiences to enjoy along the way. Their itinerary is looking pretty epic, and we’ll be following their journey, eventually welcoming them to Tweed Heads! The road trip starts this Friday 23rd September, we can’t wait to finally meet Alex and Thijs. Watch this space for updates, you can also follow along on social media by searching #GettingBackOurGoPro.